This program serves children up to the age of 21 who exhibit emotional and behavioral problems. These services include individual, family, and group therapy as well as case management services provided by intervention specialists. Dual diagnosis substance abuse services are offered to children who struggle with behavioral problems in combination with substance and alcohol abuse or dependency. Caring professionals offer assessment, education, referral services, and treatment with a focus of long-term recovery. Our mental health professionals provide counseling and case management services to children and families in their homes, on school campuses, and at other designated locations within the community. Through outreach consultation services, Clinic staff provides mental health education and training to teachers, school administrators, agencies, service, groups and the general public. Family Guidance (FG) assists qualifying families whose children have been removed by C.P.S. to reunify as quickly as possible, by providing Visit Coaching. 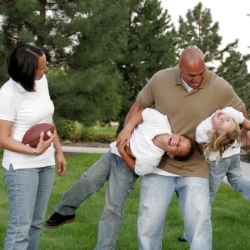 Visit Coaching is more than just supervised visits, Visit Coaching is a strength-based support program that focuses on the strength of the families and the needs of the children. Each family will receive a care coordinator who is actively involved in helping the parents’ follow their case plan. Parents meet with the care coordinator prior and after the visit to assess the needs of the children, plan activities, and plan for the next visit. During the visit, Care Coordinators will provide parents with support, modeling, positive reinforcement and constructive criticism. The Henrietta Weill Memorial Child Guidance Clinic & Adult Behavioral Health's Family Guidance (FG) assists qualifying families whose children have been removed by C.P.S. to reunify as quickly as possible, by providing Visit Coaching. Visit Coaching is more than just supervised visits, Visit Coaching is a strength-based support program that focuses on the strength of the families and the needs of the children. Each family will receive a care coordinator who is actively involved in helping the parents’ follow their case plan. Parents meet with the care coordinator prior and after the visit to assess the needs of the children, plan activities, and plan for the next visit. During the visit, Care Coordinators will provide parents with support, modeling, positive reinforcement and constructive criticism. the next visit. During the 6-12 weeks of visit coaching, a family’s visits may be moved to the Child Guidance Clinic’s visitation area or other site. Care coordinators/Visit Coaches are resources for visitation activities, a shoulder to cry on, a safe sounding board for frustrations, a child development resource, a parenting coach, and a parent’s best cheerleader. The Henrietta Weill Memorial Child Guidance Clinic & Adult Behavioral Health offers free comprehensive services for families who are in Family Reunification or Family Maintenance through the Kern County Department of Human Services. Our goal is to assist parents through case management services, parenting classes, counseling, and/ or visit coaching so that they will be successful in bringing their families together even stronger and better than before. Our Parent Education program helps families develop the skills and techniques to build stronger, healthier families. All of the courses provided will satisfy court-ordered parenting requirements and are available free of charge to parents. The Henrietta Weill Memorial Child Guidance Clinic & Adult Behavioral Health offers free parent support groups to provide parents and caregivers with up-to-date community resource information, bonding activities to be used with their children, support for specific parenting concerns and issues, and allow parents to obtain additional parenting tips through the use of videos, topic discussions, and multimedia presentations. Our adult treatment team assists individuals afflicted with mental health and/or co-occurring disorders. Our treatment team believes our clients can develop hope, healing, and wholeness which will lead to improved day-to-day success. The Henrietta Weill Memorial Child Guidance Clinic & Adult Behavioral Health’s caring and professional mental health specialists are waiting to provide you and your family with the services you need. We also offer no-appointment necessary walk-in services at all three of our locations. If you would like to learn more, please complete the form below and we will contact you shortly. Or feel free to call us at (661) 322-1021. Thank you, a member of our professional team will be contacting you soon.